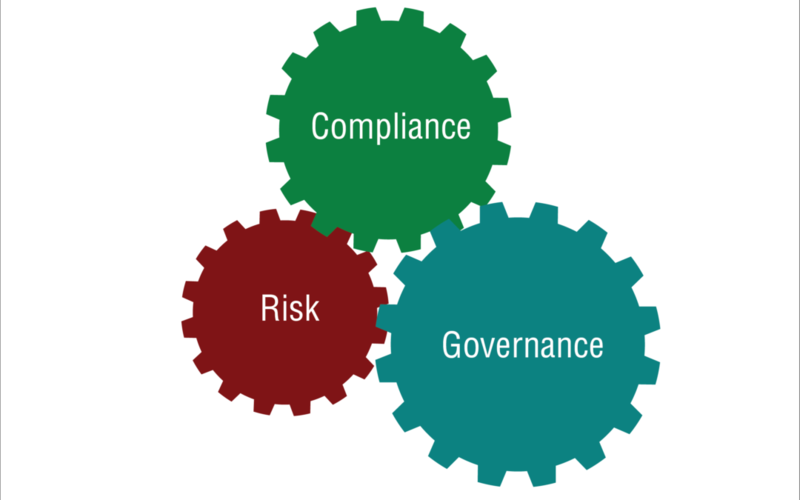 Does your SME struggle with Governance, Risk and Compliance? No business leader really likes dealing with governance, risk and compliance, but unfortunately, these are a fact of life. The organisations I work with that often have the hardest time adapting to new rules or regulations (or maybe implementing old ones for the first time) are the ones that have no clear business model. Most people don’t even understand exactly what a business model is, but it is one of the many pieces of a strategic pathway that can help you adapt and conform as necessary. This speaks to the idea of having a “mature” business strategy. Yes, when you started the business, it was just about survival and a fly-by-the-seat-of-your pants was not only acceptable, but to be expected. But much like a young child develops into a mature adult who has to adapt to the world (setting a household budget, paying your bills, maintaining your health), your business must adapt and put in the kind of mature systems that are proper for its age. Maturing as a company also means growing in size. In the beginning, you were small and nimble. If you decided you wanted to switch payroll companies, you would walk around and collect the necessary paperwork in an afternoon from your handful of employees. Now you’ve got dozens of employees, and a project like that would take days, if not weeks. You can’t pretend you’re a small company capable of pivoting on a dime. You’re not as young and flexible as you once were—and neither is your business. Having a business pathway with a component to address regulation and compliance issues must be part of your regular strategy. It’s important to point out that you probably haven’t gone down any roads you can’t backtrack when it comes to these kinds of issues. With the help of an advisor, you can figure out how to solve any issues that may exist and develop systems for adhering and adapting to rules moving forward. The world we live in is no longer one where you could get slapped with a fine, pay it and figure out how to comply in the future. We now live in a 24/7 media cycle, a world where people are very aware when organisations and industries make major mistakes, intentionally or not. You can hope you’re doing the right thing holistically, but what happens when it comes to light that one of your major clients is involved in exploiting child labour in a third-world country? Do you think that’s the kind of thing that your competitors would stay tight-lipped about? What do you say to the media when they come asking about your support of child labour? What if you didn’t know about this before the media brought it up? What if you did know, but didn’t do anything about it? What can the fallout of something like this do to an organisation? Well, it can permanently cripple it and be the beginning of the end. Business compliance is not fun. It can be downright painful, but it’s part of doing business and it needs to be part of not only your company’s strategic plan, but part of the culture and values of your company. Nobody likes them, but it doesn’t need to be difficult once you get on top of them. Don’t worry about changing everything. The reality is that you probably would need to alter very little about your organisation to bring it into full compliance. Most important is that you have someone, or a team, to help develop a strategy that will get your business to where it needs to be in the area of compliance. David Nixon is Director, Advisor, Author and Entrepreneur and is recognised as Australia’s Authority on Unleashing Growth Barriers for SMEs.